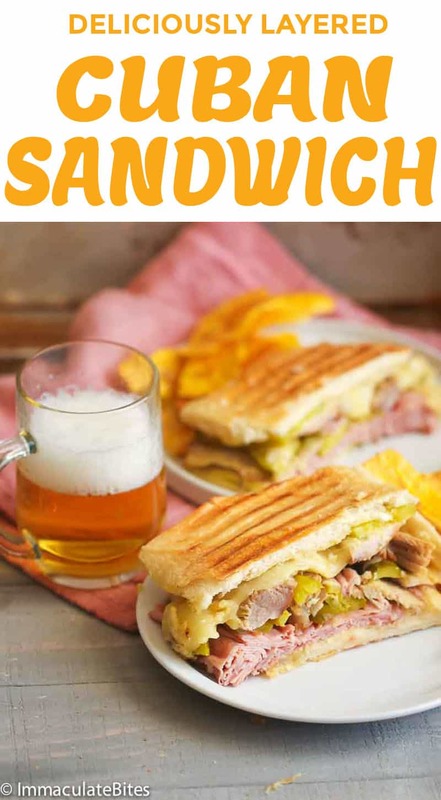 Cuban Sandwich – also known as Cubano, is a delectable variation of grilled ham and cheese sandwich with other delicious ingredients like roasted pork all pressed and grilled for a sumptuous picnic sandwich! We do love ham and cheese but this one here is more than just your regular ham and cheese sandwich. Now that the weather is warmer for some parts of U.S., it’s finally time to say goodbye to all the stews and heavy carbs. Hibernation is now over, friend! This time, I’m making another homemade sandwich for a little send-off backyard party. Oh boy, these got the highest approval from my family. I just want to make this every time I’m having some roast pork on the menu. 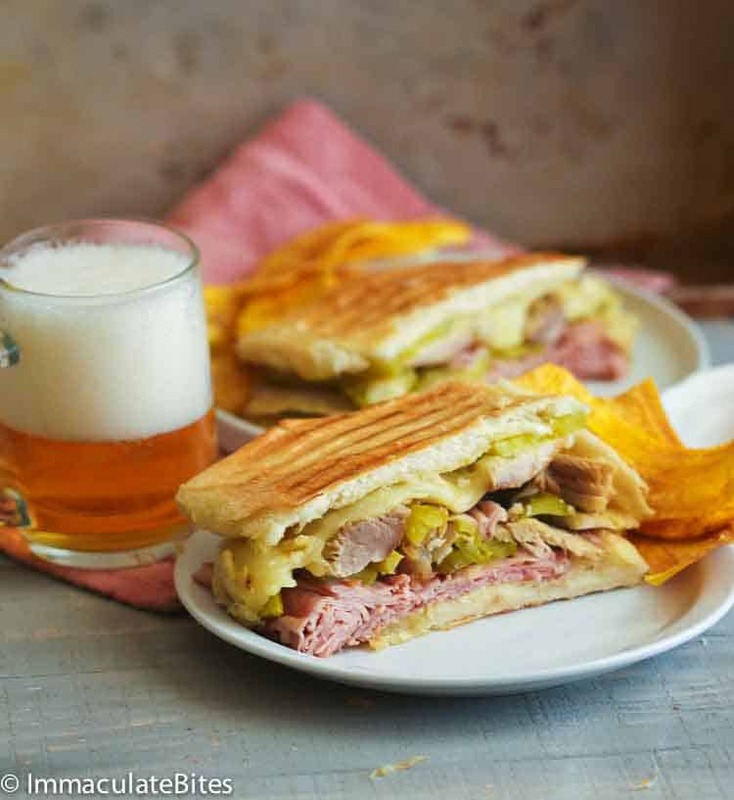 This sandwich is said to be a common lunch food for workers in the cigar factories and sugar mills in Cuba. Since then, it was brought to Florida in the late 1800s, especially in Key West and Tampa, by Cubans who frequently sailed back and forth for employment, vacation or family visits. 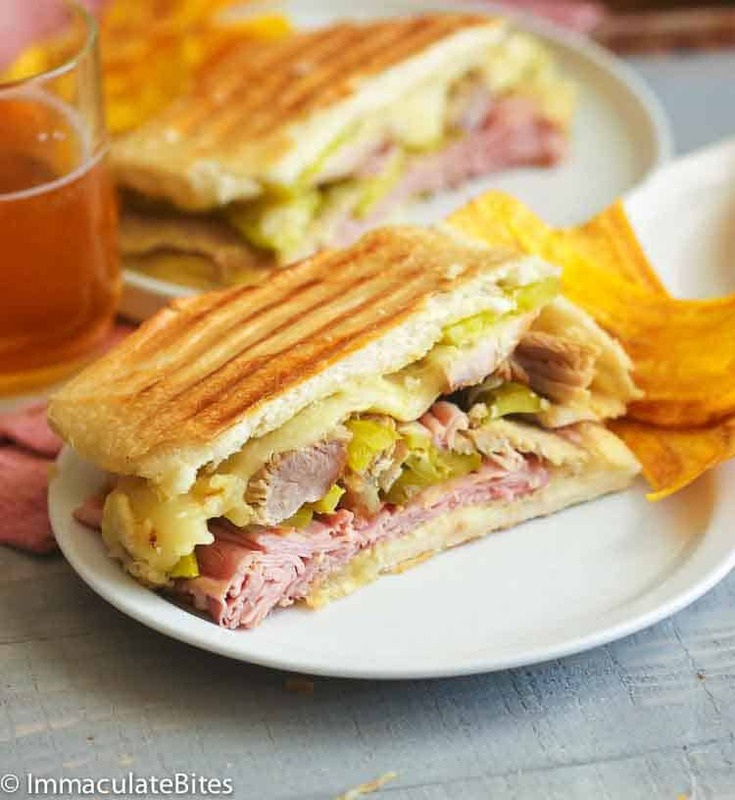 From then on, this Cuban Sandwich is popularly served on cafeterias across the U.S. with different variations. 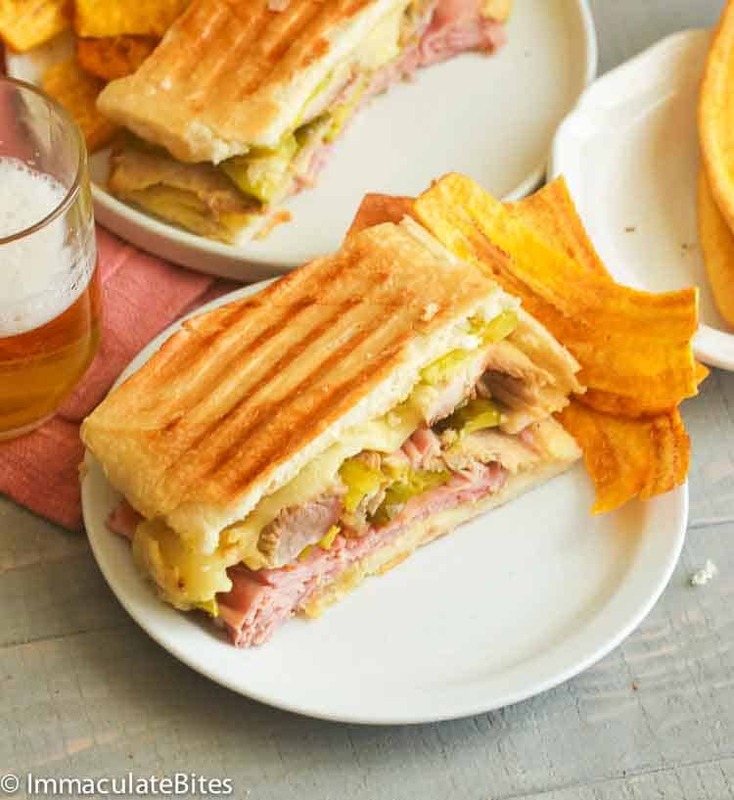 While there is still a debate on how the original Cuban Sandwich is prepared, all I know is that it’s a ham and cheese sandwich that has a lot to offer. Let’s break it down. Dill Pickles. 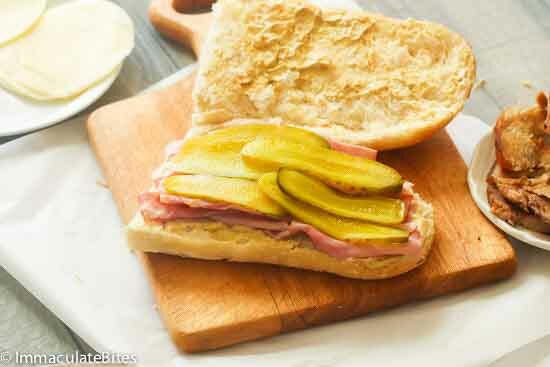 I might be a little bias here, but dill pickles certainly adds a great layer of flavor to this Cuban Sandwich. I sliced it thinly lengthwise so the flavor will meld well with the rest of the ingredients. Mustard. The mustard acts as a base and a moistening agent to the bread by spreading it over on each bread half on both sides. This will also hold all the other ingredients in place. You can also moisten the bread with mayo or simply butter. 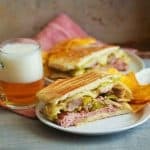 What cheese should I use for this Cuban sandwich? Ham and Cheese. For this recipe, I use provolone cheese as I think they’re best for panini as they have intense flavor when melted – smoky, nutty and mild. Your best alternative to provolone on this recipe would be Swiss cheese. What type of bread should I use? Bread. A real Cuban loaf is typically a long white loaf with a distinct softness which allows it to crisp nicely without getting so hard. But if it’s not in your neck of woods, you can buy instead something similar to that on Puerto Rican, Mexican and Dominican bakeries or a French or Italian bread that is not too crusty. Once you’ve gathered all the ingredients and slice them down neatly. 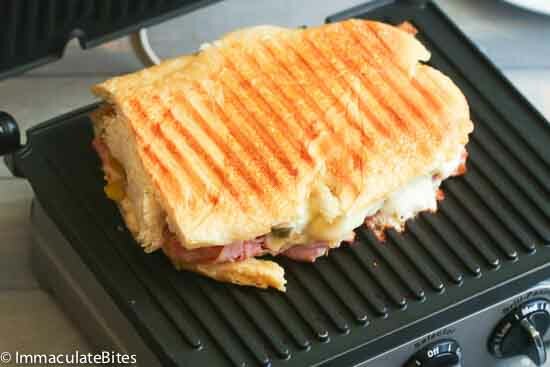 You can start assembling your Cuban Sandwich and press it down using a Panini Press HERE or grill them outside. Just don’t push the bread too hard or else it’ll squeeze out the juices and make the bread soggy. 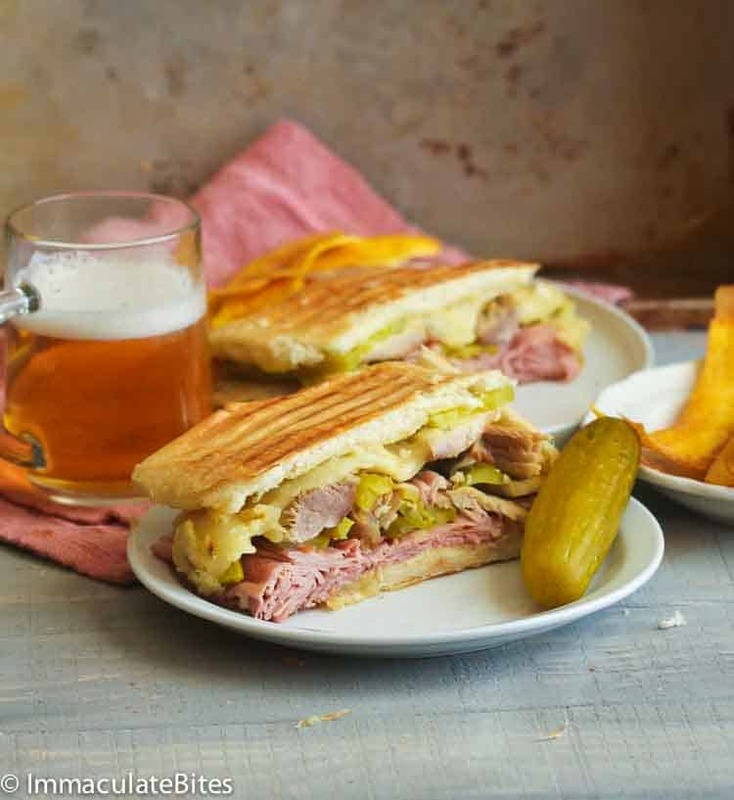 Add some plantain chips on the side and lots of beer when serving this smokey, nutty and tasty Cuban sandwich! 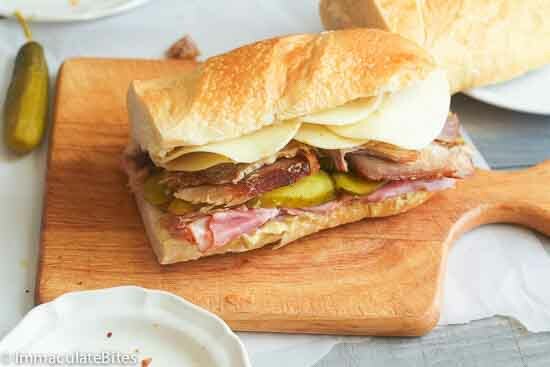 Want more sandwiches like these for picnics? You may like my Muffuletta Sandwich HERE, South African Grilled Cheese Sandwich OR this Steak and Peppers Sandwich. Go grab a huge bite! If you can’t find a Cuban white soft loaf, you’re best bet would be those French or Italian long bread that is not too crusty. Avoid buying fancy baguettes. You can use the tender meat of this Pernil recipe HERE (Puerto Rican Roast Pork) as a stuffing for this Cuban Sandwich OR buy pork slices from your nearest deli. For the cheese, my personal preference is provolone cheese but you can sub it with Swiss Cheese or Gruyere. 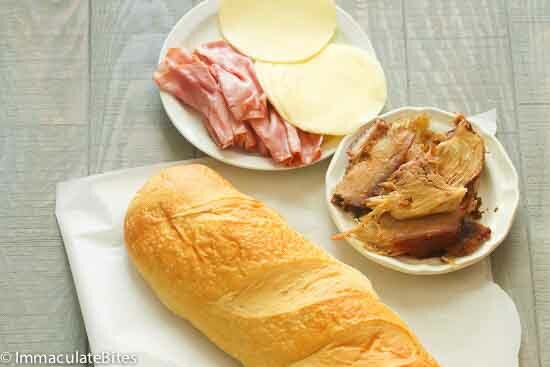 Some cafes also serve Cuban Sandwiches with mayo, lettuce and tomato. So it all depends on your preference. This sandwich is freezer-friendly, too. Let it cool, then wrap them in parchment paper, then foil and freeze. 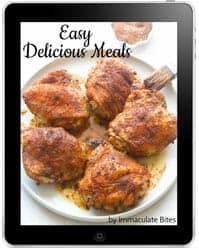 When you’re read to eat, just simply reheat them. Preheat a Large Cast iron or grill pan, over medium heat. Use a panini if you have one in your possession. Divide loaf of bread in half or three equal parts. Slice bread loaf and on a work surface spread the bottom and top halves with mustard and mayo (optional). Layer bottom and top halves with ham, pork , cheese and pickles. Be sure to place cheese on both sides . Close sandwich, pressing gently. Make sure you don’t overfill your sandwich by too much or the inside of the sandwich won’t warm properly when cooking. Brush both sides of the bread with melted butter or soft butter. If cooking on a panini: Place your sandwich inside and close. Follow the manufacturer’s instruction or cook for about 4-5 minutes until golden brown and crisp. If using cast iron or heavy skillet: Add about 1-2 tablespoons butter on the pan , over medium-high heat, swirl to coat. Place sandwich in the center of the the pan, press it down to make full contact with the hot pan. Use a second pan to press on them until the first side crisps. When crisp, carefully flip sandwiches, you may use a large spatula. Brush the other side with butter, continue cooking until crisp . If using Oven: Line a baking sheet with foil or parchment paper, then add sandwich. When the oven is hot, Place the sandwich in the oven and let it crisp. It might take 5 minutes less or more. Start with the highest temperature, then adjust temperature so sandwich gets heated through. If desired, flip sandwiches for even toasting . 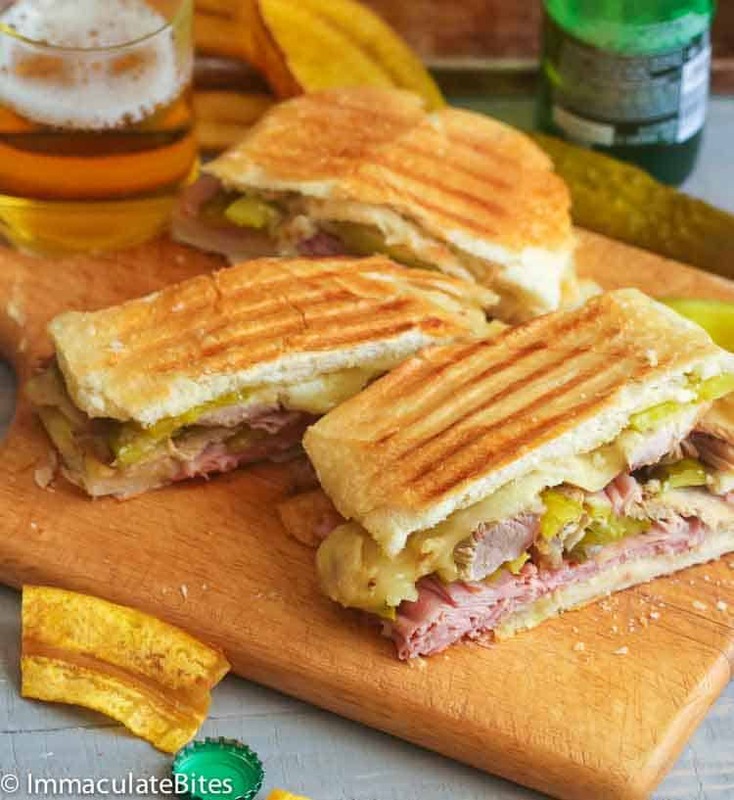 Slice sandwiches and serve immediately with plantain chips or pickles. Cuban is the best sandwich ever!!!! Use Swiss cheese. This will become your favorite sandwich ever! OMG, I LOVE a good Cuban. Once you start making them at home, you never want them from anywhere else. Thanks for spreading the CUBAN SAMMICH word! These look so great.